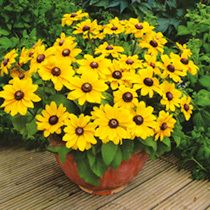 Compact, well-branched plants are smothered in golden daisy-like blooms, each with a deep chocolate central cone. 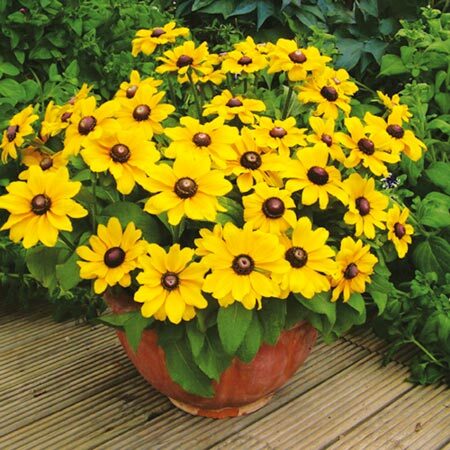 This cheery dwarf coneflower is early to flower and continues blooming from summer right through to autumn, brightening even the dullest days. Flowers July-October. Height 20-30cm. Supplied in a 2 litre pot.